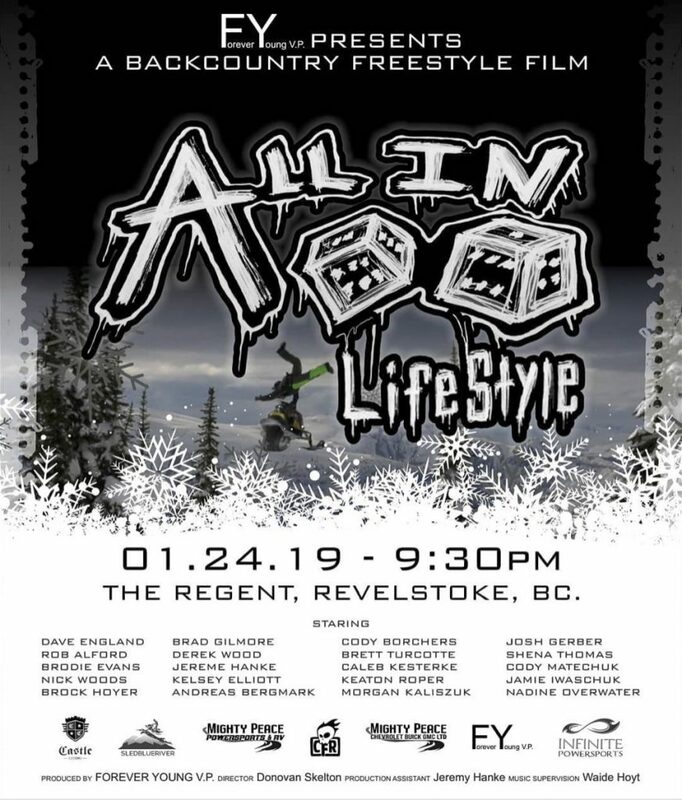 All In, Lifestyle, a multi-year project by filmmaker Donovan Skelton, will be premiered this Thursday in Revelstoke, BC. 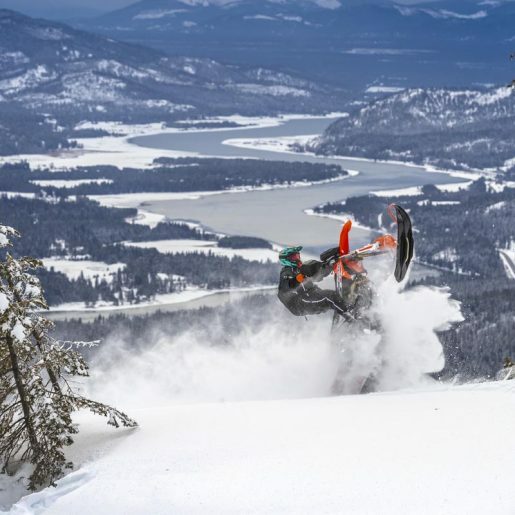 Skelton is known for his contributions to film series by Slednecks, 509, Two Stroke Cold Smoke and more. But for All In, Lifestyle, Skelton is going it alone under the banner of his own Forever Young V.P. 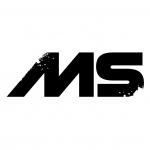 production company. 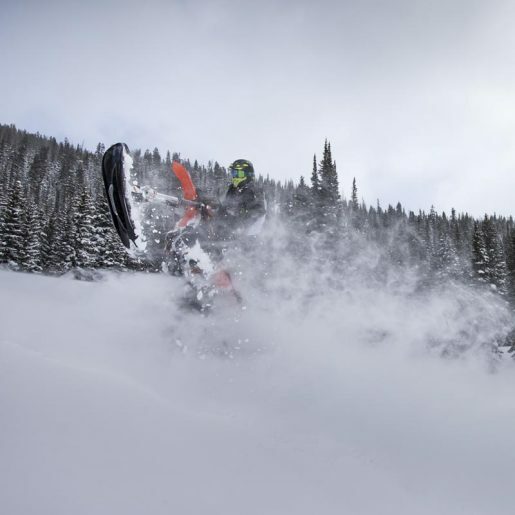 The film is the culmination of more than two years worth of footage shot by Skelton, and it showcases a who’s-who of snowmobiling elite from Revelstoke, Blue River and beyond. 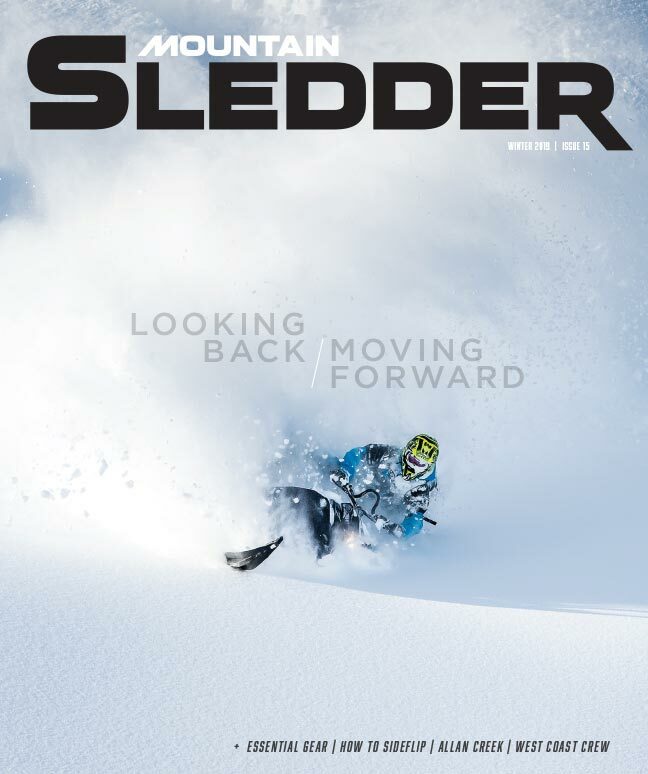 All In, Lifestyle features a huge list of top riders including, but not limited to: Caleb Kesterke, Cody Matechuk, Derek Wood, Jeff Harker, Brad Gilmore, Cody Borchers, Andreas Berkmark, Jamie Iwaschuk, Nick Woods, Morgan Kaliszuk, Brock Hoyer, Kelsey Elliott, Josh Gerber, Dave England, Rob Alford, Jeremy Hanke, Brodie Evans, Brett Turcotte, Shena Thomas and Nadine Overwater. If the teaser is any indication, All In, Lifestyle promises some badass, heart-stopping action from some of the most fearless riders today. Supporting the film is Cheetah Factory Racing , Mighty Peace Powersports , Mighty Peace GM, Sled Blue River, Castle Customs and Infinite Powersports. 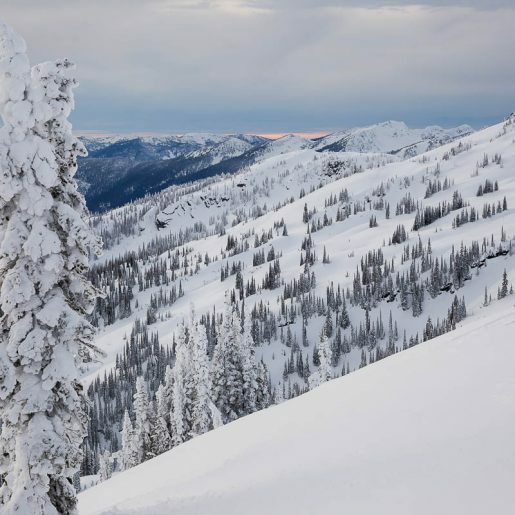 The All In, Lifestyle Premiere will take place Thursday, January 24, 2019 at 9:30 p.m. PST at the River City Pub in the Regent Hotel in Revelstoke.